The Mentoring Program matches College Now scholarship recipients with mentors in the Greater Cleveland area. Mentor support helps students successfully navigate the challenges of college. In the last three years of the program, 92% of our freshmen returned for their sophomore year of college, and 72% of our pilot class graduated on time—a stunning success! MentorInCLE Connect brings together mentors, students and employers to celebrate mentoring and create college to career connections. 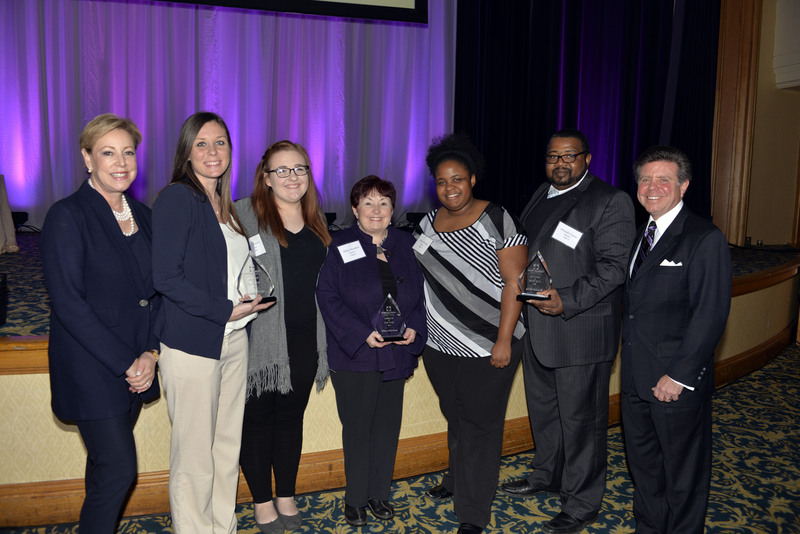 Join College Now Greater Cleveland in celebrating National Mentoring Month at our annual Luncheon, where we will honor Mentors of the Year and all of our mentors. The Career Fair follows, connecting college scholarship recipients with internship and entry-level job opportunities from local employers. More than 350 people are expected to attend the day’s events! Join us for the Luncheon, the Career Fair or both! This year’s MentorInCLE Connect will be held on Thursday, January 10, 2019. The Luncheon will run from 12:00 – 1:30 p.m., and the Career Fair will run from 1:30 – 3:00 p.m. Both will be held at the Renaissance Hotel, 24 Public Square, Cleveland, OH 44113.